If you are in the market for a new sign we would like the opportunity to quote on your needs. Pro Sign Design is one of the only UL approved sign companies in the area ready to fabricate your illuminated and non illuminated signs. We specialize in channel letters and illuminated cabinets, along with digital printing and vehicle wraps. We are a licensed contractor in many areas of Ohio and are experienced in site surveys, permits, design, service, fabrication and installation. Having our own crane and service trucks we are able to install your signs well over 2 tons and 65+ feet off the ground. From screen printing, Sub- Devlopment entrance signs, to Hi rise pilons along the interstate. 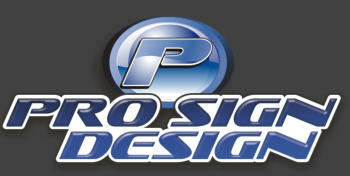 Pro Sign Design has the capabilities to handle all your sign needs. If you are in the market for a new sign we would like the opportunity to quote on your needs. 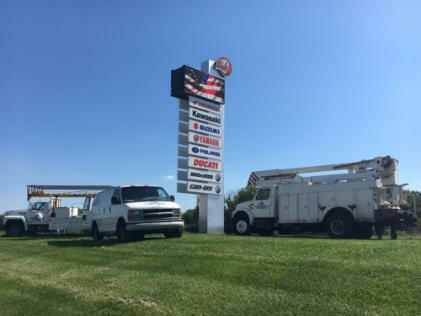 Pro Sign Design is one of the only UL approved sign companies in the area ready to fabricate your illuminated and non illuminated signs. We specialize in channel letters and illuminated cabinets, along with digital printing and vehicle wraps. We are a licensed contractor in many areas of Ohio and are experienced in site surveys, permits, design, service, fabrication and installation. Having our own crane and service trucks we are able to install your signs well over 2 tons and 65+ feet off the ground. From screen printing, Sub-Devlopment entrance signs, to Hi rise pilons along the interstate. 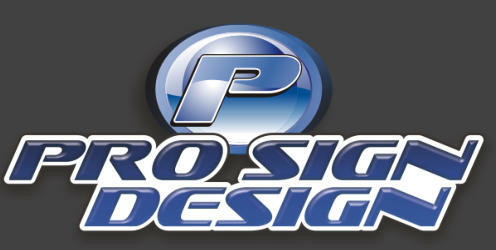 Pro Sign Design has the capabilities to handle all your sign needs.